Get the carrot walnut cupcake recipe here, I make half recipe, bake with air fryer at 160 degree for 25 minutes. I am submitting this post to Best Recipes for Everyone (December 2014 Event: My Little Cupcakes) hosted by Fion (XuanHom's Mon Kitchen Diary). I am also liking this to the "Cook & Celebrate: Christmas 2014" event which organized by Zoe (Bake for Happy Kids), Diana (The Domestic Goddess Wannabe) and Baby Sumo (Eat Your Heart Out). 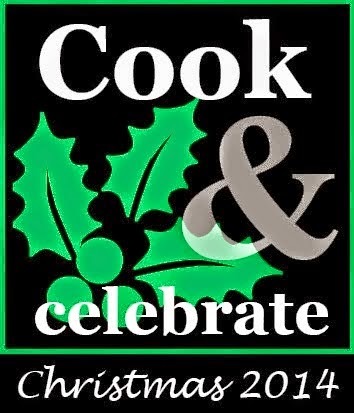 This post is also also linked to the event My Treasured Recipes #4 - Ho Ho Ho It's Christmas (Dec 2014) hosted by Miss B of Everybody Eats Well in Flanders and co-hosted by Charmaine of Mimi Bakery House. Wish I could have one of your yummy cupcakes for brekkie. Merry Christmas to you & family too ! Happy 2015!!! Like your very lovely cupcakes!! !